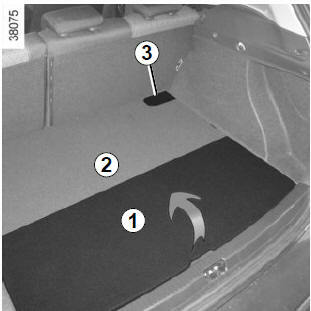 When fitted to the vehicle, it can be used to make loading easier. 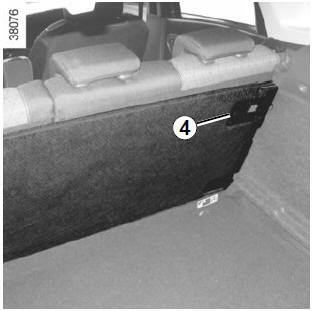 Note: if you need to access the ISOFIX ring and/or the net ring at the bottom of the boot, open flap 3. Maximum weight for the mobile floor: 100 kg evenly distributed. push the catch 4 to lock the mobile floor in the folded position. 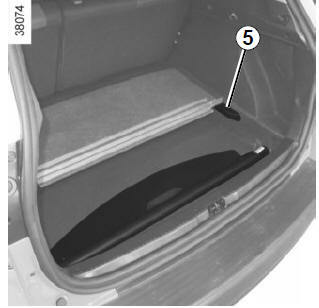 Position it in the boot, using the 5 runners provided.